Great combination of productivity enhancing features, including wireless Bluetooth! Free your workers and enhance productivity with Symbol's LS4278 Bluetooth cordless barcode scanner, delivering accurate barcode scanning anywhere in the workspace. 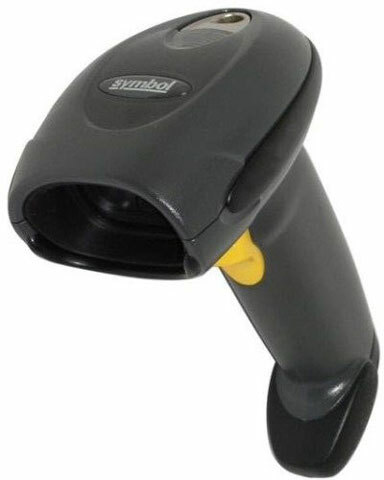 Superb scanning functionality enables users to hold the LS4278 at any angle and scan even the smallest, stacked or poorly printed barcodes. The unique design maximizes reliability by removing typical areas of vulnerability. Single board construction eliminates common inter-connection failures. The tempered glass exit window is scratchproof. And industrial long life charging contacts can withstand hundreds of thousands of insertions into the cradle. Combined with remote scanner management capability, the LS4278 offers outstanding value in your retail, health care or warehouse environment. LS4278-TRBU0100ZWR	 LS 4278, USB kit, Black. Includes radio/charging cradle & 7 ft. straight USB cable. Please add optional power supply (Part# PWRS-14000-253R) for faster charging. The Symbol LS4278-TRBU0100ZWR is also known as Symbol Technologies	SYM-LS4278TRBU0100ZR	or LS4278TRBU0100ZWR	.